Singer and performer Teddy Pendergrass came into the world on March 26, 1950 in Kingstree, South Carolina. 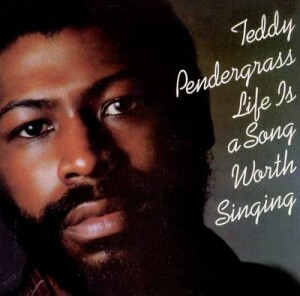 Born Theodore Pendergrass, Teddy would leave the earth all too soon, on January 13, 2010 in Bryn Mawr, Pennsylvania. His life may have been short, but the impact Teddy Pendergrass was able to achieve during those almost 60 years was impressive indeed. Teddy spent his formative years in South Carolina, and he and his family remained there until his father was murdered in 1962. It was then his family moved to Philadelphia, and the influence of the city is clearly evident in his career and his music. 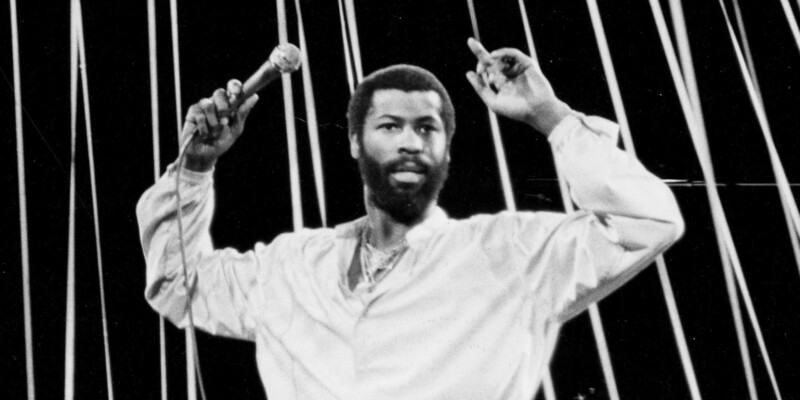 In his early days, Teddy Pendergrass started performing in his school and at his church. He clearly enjoyed performing more than academics – he dropped out of high school in the 11th grade to pursue his dreams of a music career. That decision might have been a bad one for others, but for Teddy Pendergrass it was a brilliant move. Teddy Pendergrass has always been a bold performer, and his first major gig was as a drummer for the band the Cadillacs. Teddy Pendergrass would serve as drummer for the Cadillacs throughout the 1960s. 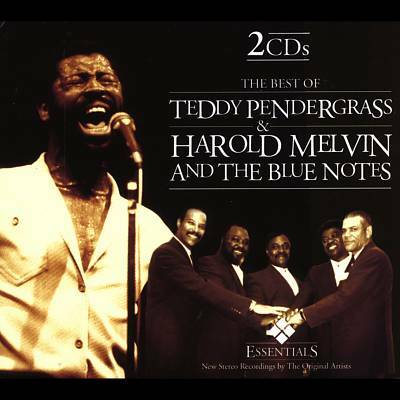 In 1970, Teddy Pendergrass became the drummer for a Philadelphia soul band called Harold Melvin & the Blue Notes. He went on to become the lead singer for the band that same year, and the career of Teddy Pendergrass was officially off and running. The rise of Teddy Pendergrass began in earnest two years later. 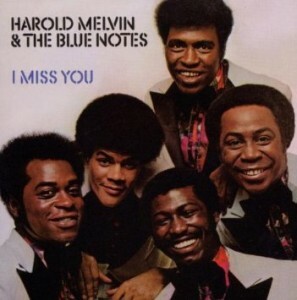 In 1972, The Blue Notes were signed to a record label – the prestigious Philadelphia International. That record deal paved the way for great success, and the band went on to have several hits throughout the early 1970s, including famous tunes like “I Miss You” and “If You Don’t Know Me By Now.” Teddy was also a collaborative member of Philly’s MFSB, whose Grammy-winning hit, “TSOP/The Sound of Philadelphia” reached number one in April of 1974. Unfortunately for Teddy, the pinnacle of his commercial and critical success was interrupted by a devastating car crash in Philadelphia. In the 1982 crash, the brakes on Teddy’s car failed and the violence of the crash left Teddy Pendergrass with an injured spinal cord. 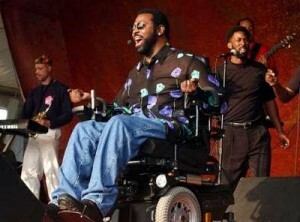 That spinal injury left Teddy Pendergrass paralyzed from the waist down, but it did not end his career. Teddy continued to record music, releasing several albums throughout the 1980s and 1990s. It was also during this time that Teddy founded a charity – the Teddy Pendergrass Alliance, designed to help people who had suffered spinal cord injuries. 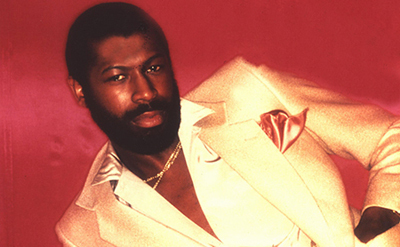 Teddy Pendergrass died at age of 59 but still rules our hearts today. Teddy Pendergrass officially retired from the music business in 2006, but he would not be able to enjoy the fruits of his labor for very long. By 2009, Teddy Pendergrass was not feeling well, and he underwent cancer surgery and struggled to recover. 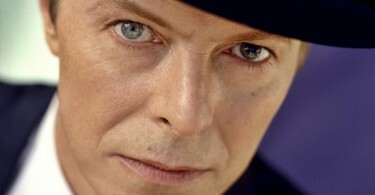 He would eventually die from complications associated with the disease, leaving the world far too soon at the age of 59. The legend lives on: see tributary singers for Teddy Pendergrass like Greg Martiello, Dennis “Youngblood” Taylor, Kenny Jeremiah & George Foxx, who is a Teddy Pendergrass impersonator. For sure. Way to go Teddy! Nice to read such a cool article about Teddy. Thanks!